In order to fully understand and appreciate the craftsmanship that goes into a product, one must experience how it is made. This is exactly how one can truly experience the distinct characteristics of coffee. 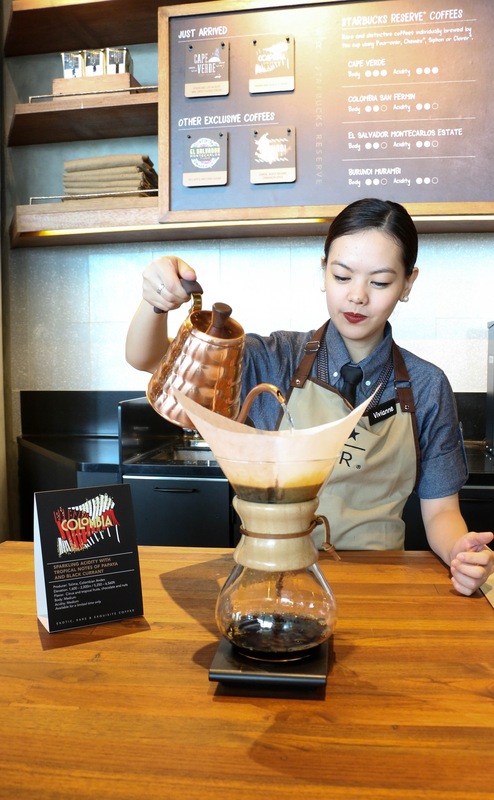 The Coffee Experience Bar is where Baristas can show how different brewing methods can have surprising effects on the flavor of the coffee. 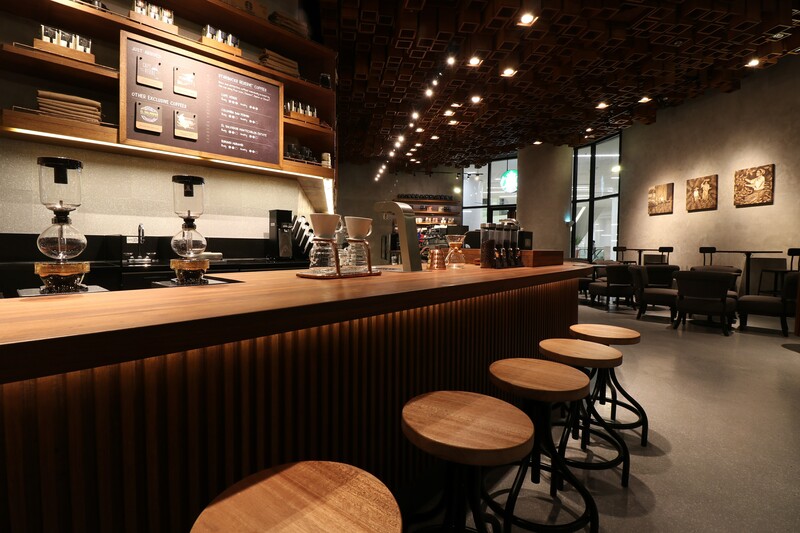 Upon ordering, customers can choose from Siphon, Pour-over, Chemex and Clover® brewing methods for their cup and watch as the Baristas make the coffee in a bar that looks like a chic chemistry lab. 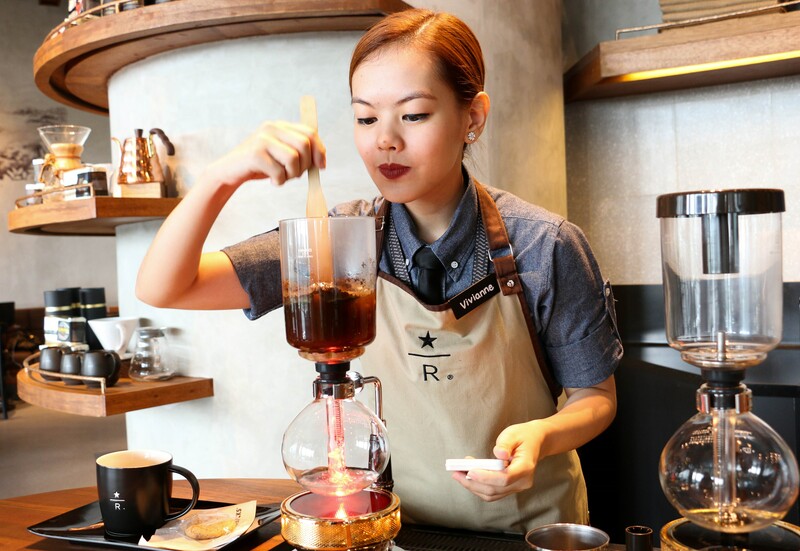 Siphon brewing method brings out the intense flavours of the coffee. This uses halogen lights or butane flames to produce heat for boiling water and the movement of coffee through chambers. Vapor pressure pushes water upward to brew coffee in the top glass globe, then filtered coffee cascades back down into a glass carafe. This fascinating process makes a rewarding cup for those who enjoy well defined flavours dominating the coffee. For those who want to accentuate the distinct flavors of the coffee, you may use the beautifully simple and accessible Pour Over method. The ceramic cone holds heat well during brewing and produces consistent, clean and flavorful coffee. For a rich-bodied and flavorful cup of brewed coffee, you can use the Chemex method. This combines elegance and function using a pour over method with a beautiful glass decanter. 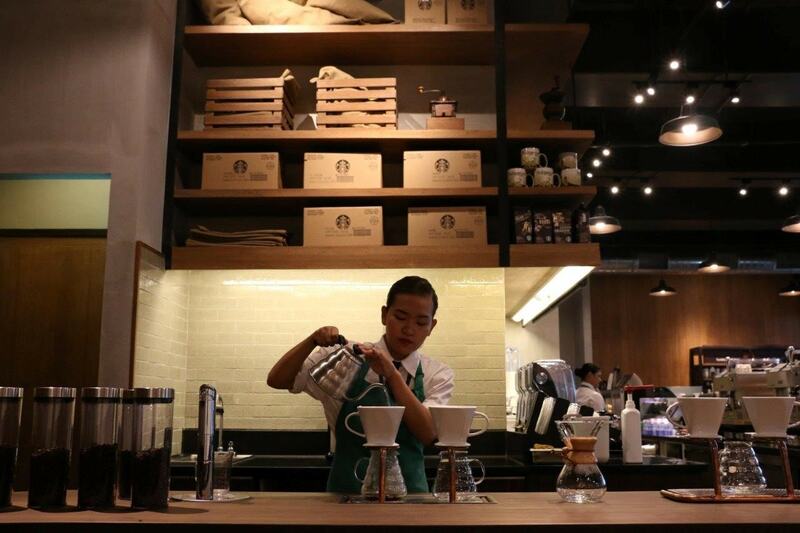 Ground coffee is immersed in hot water for all or most of the brew, and then filtered at the end. The Chemex amplifies the coffee’s body but produces the cleanest cup with complex flavors, meaning, no single characteristic will dominate and will eventually wash away clean. For fine coffee that oozes with aromatic flavor, you may use the Clover® brewing system. 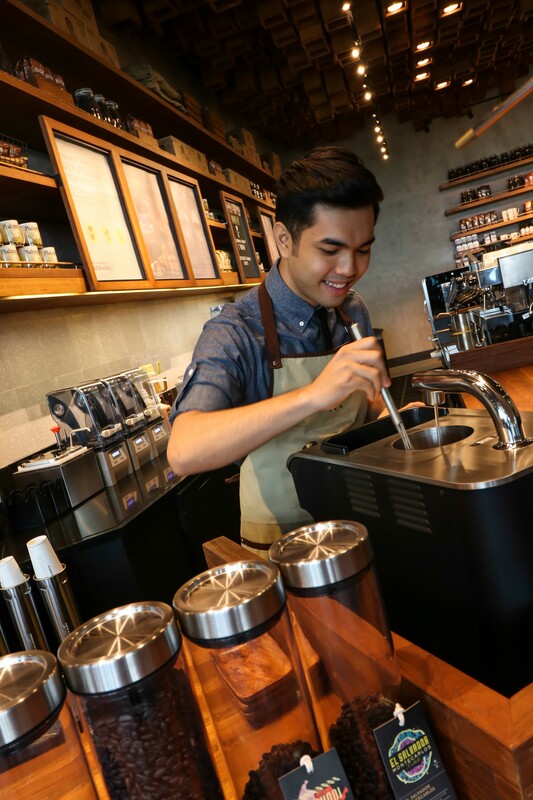 This equipment, exclusive for Starbucks, uses an innovative Vacuum-Press™ technology that controls brew time and temperature digitally, as subtle changes can dramatically affect the flavor.